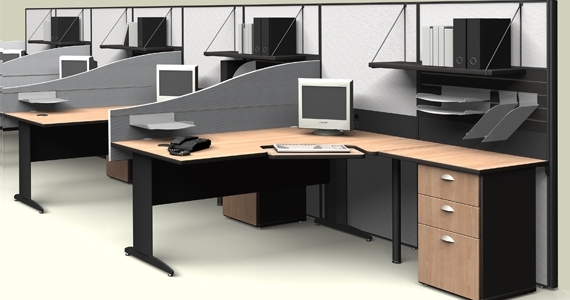 Or ergonomic workstations to fit a large group into a small space? Wanting individually designed desks, or a standard design? Effective spacing whilst allowing a sense of personalised space is important to you? Would like to see a range of designs, sizes, and colours? Like the idea of a free design service? Individually designed to suit your situation, whether a home office, small business or a multinational corporation, we are dedicated to ensuring you have a work environment conducive to a healthy workplace. A huge selection of colours, woodgrains, and powdercoated finishes are available. You can be assured it is AUSTRALIAN MADE unless you request otherwise. EMAIL LEO AT leo@essentialofficefitouts.com.au for friendly, professional advice, and prompt quoting.